American tennis player and World No. 8 ranked James Blake will formally announce today the launch of the Thomas Blake, Sr., Memorial Research Fund, which he established to support cancer research at Memorial Sloan Kettering Cancer Center (MSKCC). His goal is to raise $1 million over the course of the next year through various fundraising initiatives, including the J-Block merchandise program, a charity tennis exhibition called Anthem LIVE!, and individual and corporate contributions. The Fund is named in memory of his father, Thomas Blake, Sr., who died of gastric cancer in 2004. To date, the Fund has raised more than $500,000 and will support research into the early detection and screening of cancer. James displays a drive to excel on and off the court and it is that same dedication that will help him succeed in his efforts to support cancer research through this fund, for which we are thankful. “James displays a drive to excel on and off the court and it is that same dedication that will help him succeed in his efforts to support cancer research through this fund, for which we are thankful,” said Harold Varmus, President of MSKCC. The Blake Research Fund is this year’s designated charity for the J-Block merchandise program, in which Mr. Blake and Nike partner to create J-Block branded merchandise that will be sold throughout the summer at Olympus US Open Series events and online at www.tenniswarehouse.com. All proceeds from these sales will go directly to the Blake Research Fund. Another major initiative that will raise money for the Thomas Blake, Sr., Memorial Research Fund is Anthem LIVE!, a charity tennis exhibition sponsored by Anthem Blue Cross and Blue Shield and hosted by Mr. Blake. In 2008, Anthem LIVE! will feature Mr. Blake, World No. 6 ranked Andy Roddick, and World No. 1 ranked doubles team Bob and Mike Bryan, and will be held on September 12, in Richmond, Virginia. Mr. Blake’s sponsors include Evian, Dunlop, and American Express, which have also committed to making donations to the Fund. 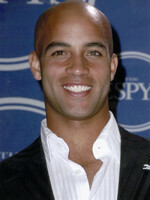 More information about James Blake, J-Block, and the Thomas Blake, Sr., Memorial Research Fund may be obtained at www.jamesblaketennis.com.